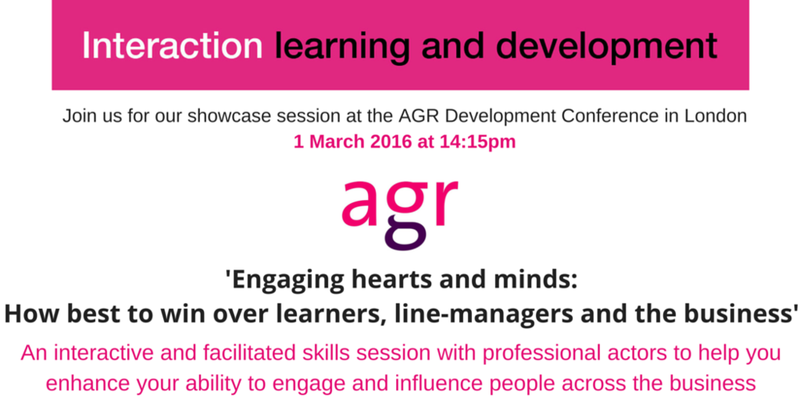 We’re very excited to announce that we will be delivering a showcase session at the AGR Development Conference at 14.15. Entitled ‘Engaging hearts and minds: How best to win over learners, line managers and the business’ our interactive and facilitated skills session will use professional actors to help you enhance your ability to engage and influence people across the business. Newer PostThe training venue - does it matter? Older PostQualifications or people skills - what matters most?